Today is the first entry in this winter’s Wednesday tree series. Though I mentioned we would identify trees by their twigs I can’t resist starting the series with a tree that’s really easy to identify by its bark. 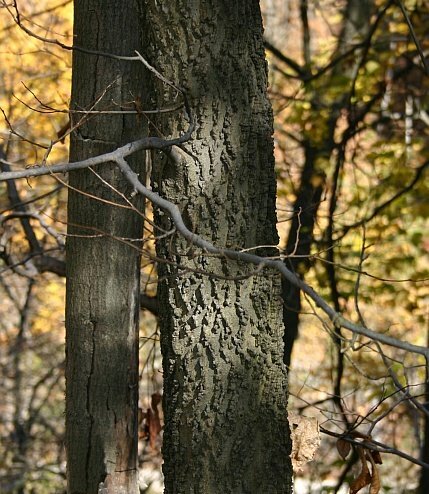 This is the Common Hackberry (Celtis occidentalis), a member of the Hemp family. It produces small berries that ripen in autumn. Some berries fall to the ground, others persist on the tree into the winter and provide a good food source for birds. 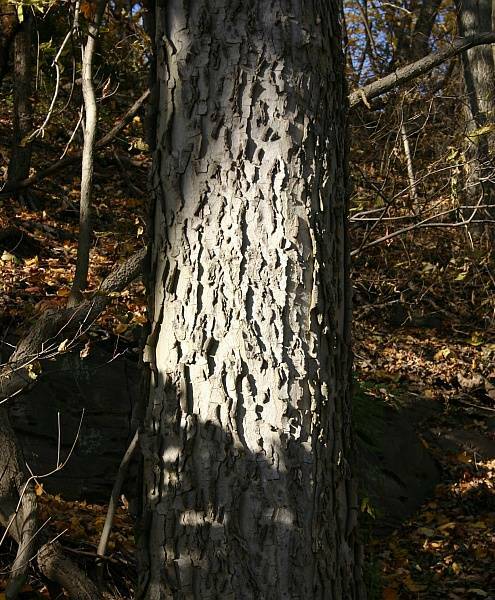 Hackberry bark looks as if someone glued lumpy pie-crust ridges onto the originally smooth gray surface. You can see these odd ridges in the photo above. A second very distinctive trait is the witch’s broom, easy to see when the leaves are off the trees. 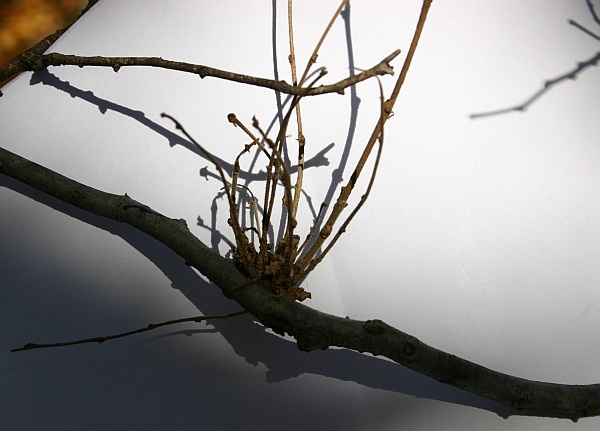 Not all hackberries have these bundles of malformed twigs but when you see them in combination with the lumpy bark you can be sure you’ve found a hackberry. Here’s a close-up of a witch’s broom. 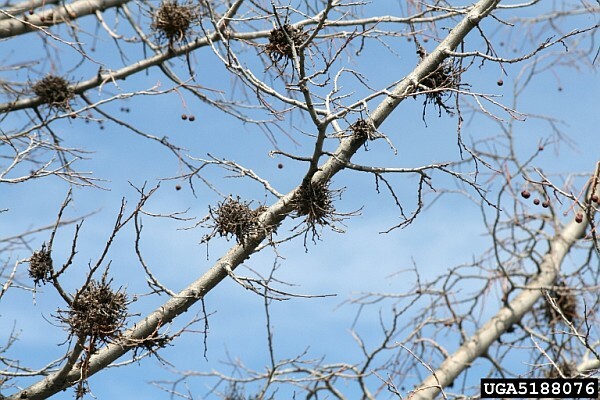 Not only do the twigs clump at one spot but there are woody lumps at their base. As the trees mature the pie-crust lumps grow farther apart and sometimes look as if they’ll peel off the trunk. Hackberries are easy to find in Schenley Park, especially near the Greenfield Bridge. Cool! I’m really looking forward to these. Especially the ones you find in Schenley since I can go and quiz myself then. I’m pretty sure I was better with trees back in 5th or 6th grade than I am now. Somewhere there’s a book I made for a class project with all these leaves I picked up and pressed between wax paper I think. I wonder if there’s anything left in it at this point. And after this I’ll even be able to ID in winter! I quiz myself by looking at tree bark all the time in the woods. I look forward to adding identification by twig to my observations. Looks like a dead American Chestnut tree beside it.